If you’re a hard-training athlete, you may be neglecting your nutrition gaps. Fitness experts will tell you that’s a big no-no. Perhaps a potent multivitamin such as EVLUTION NUTRITION VITAMODE can help you. This product has a glowing reputation – many consumers swear by its potency. We know that’s enough to pique your interest in this review. Comprehensive formula. 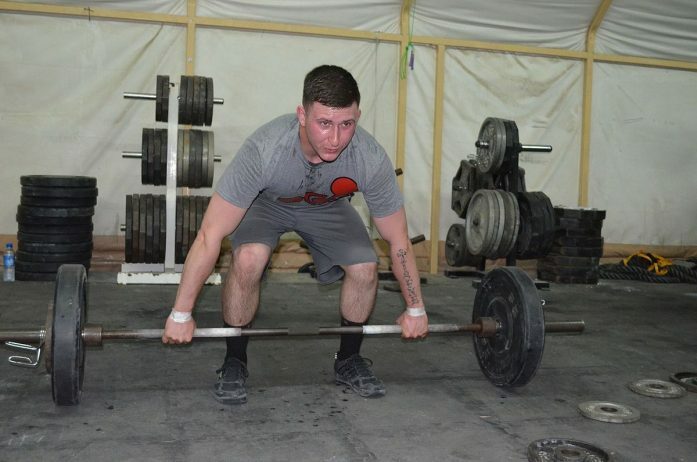 Great for hard-training individuals. Rich in Vitamins B6, B12, C, and D. Provides at least 833 percent of the daily value. Excellent reputation. Many customers can’t get enough of it. You may be taking your creatine for more muscle mass and increased athletic performance on a regular basis. If packing on muscle mass is one of your fitness goals, consuming your protein supplement after a hard workout is automatic. However, you may be neglecting other vital nutritional gaps. Let’s keep it real. Life can get busy – family obligations, career, health, finances, etc. We won’t blame you if you haven’t been eating your fair share of whole grains, fruits, and vegetables (although it’s best to do this as much as possible). This is where a potent multivitamin comes in. A multivitamin as potent as, say, EVLUTION NUTRITION VITAMODE. The manufacturer dubs it its “High-Performance Multivitamin,” per its official website. If you’re in for a tough workout, EVLUTION NUTRITION VITAMODE can help. We think these address the needs of today’s active individual, and then some. The question remains: how good is this multivitamin in achieving these goals? For starters, we didn’t get a good first impression of EVLUTION NUTRITION VITAMODE. First of all, try making a distinction between synthetic and natural vitamins. According to health and fitness expert Dr. Joseph Mercola, if your multivitamin were natural, the label would say it. “If the ingredients were all-natural, it would say so – very prominently – on their label,” he wrote on OrganicConsumers.org. Unfortunately, we never found that “All-Natural” label on EVLUTION NUTRITION VITAMODE. Neither did we see any ISO Certification label. “If every manufacturer of supplements met high-quality control standards, they’d all be bragging about their ISO certification,” per Mercola. Now, it doesn’t have to be strictly ISO-certified. We just want to see a stamp of approval which guarantees top-notch quality. We didn’t see any such label on EVLUTION NUTRITION VITAMODE. However, its “Multi-Benefit Vitamin and Mineral Complex for Intense Training” could make up for it. Take a hint from its name: its main objective is to supply your body with the vitamins and minerals it needs for hard exercise. Full B-Vitamin Complex: The folks at EVLUTION NUTRITION say this will help offset the loss of water-soluble vitamins during a rigorous training session. Bioperine: Black pepper fruit extract which boosts nutrient uptake. Make no mistake about it, folks: the Multi-Benefit Vitamin and Mineral Complex for Intense Training is impressive. We feel these cover the bases in terms of an active individual’s long-term health. The inclusions of digestive enzymes and BioPerine were a great finishing touch. It reminds us of Old School Labs’ Vintage Base, one of the most effective multivitamins with probiotics on the market. Many customers also swear by the potency of EVLUTION NUTRITION VITAMODE – they say it’s one of the best multivitamins they’ve taken. They maintain this product helped increase their strength and endurance and improve their mood. In contrast, the aforementioned Nature Made Multi Complete (which many customers praise) has only 100 percent the daily value for Vitamin B6 and B12. If you’re not getting enough Vitamin D from sunlight, take EVLUTION NUTRITION VITAMODE. If you want to ward off the common cold and improve connective tissue growth, take this supplement (on a side note, a popular bone and joint support product, Labrada ElastiJoint, has 1,650 percent of the daily value for ascorbic acid). If you want to boost your long-term health, take EVLUTION NUTRITION VITAMODE. As good as this product is, it has a few chinks. The manufacturer includes a shady proprietary blend (the 100-mg Phyto Nutrient Complex) – notice it divulged the entire blend amount but not those for the individual ingredients. Note to the company: the customer has every right to know all of the ingredient amounts. Vitamin A (as beta carotene), 10,000 IU: EVLUTION NUTRITION VITAMODE is an excellent source of Vitamin A at 200 percent of the daily value (anything more than 15 percent is high). Your long-term eyesight will benefit. Vitamin C (as ascorbic acid), 500 mg: This multivitamin presents a mega dose of ascorbic acid at a whopping 833 percent of the daily value. You should be able to ward off the common cold with ease, folks. Vitamin D (as cholecalciferol), 5,000 IU: Not getting enough sunlight? EVLUTION NUTRITION VITAMODE is an excellent Vitamin D source at an incredible 1,250 percent of the daily value. Vitamin E (as d-alpha tocopheryl succinate), 30 IU: Vitamin E provides your body with potent antixoidants and regulates your immune system. At 100 percent of the daily value, this product’s Vitamin E content should do the trick. Vitamin K (as phytonadione), 80 mcg: A vitamin which helps build strong bones and boost heart health. Thiamin (as thiamin hydrochloride), 10 mg: EVLUTION NUTRITION also has high Vitamin B1 content at a remarkable 666 percent of the daily value. Thiamin helps increase energy levels, boost heart health, and regulate digestion. Riboflavin, 10 mg: Enjoy an impressive 588 percent of the daily value for riboflavin (Vitamin B2), which helps increase energy levels and strengthen the immune and digestive systems. Niacin (as niacinamide), 75 mg: Also known as Vitamin B3, this helps regulate cholesterol levels and improve cardiovascular health. An impressive 375 percent of the daily value for niacin should help get the job done. Vitamin B6 (as pyridoxine hydrochloride), 50 mg: Another vital ingredient in helping boost heart health. This is the most abundant vitamin found in EVLUTION NUTRITION VITAMODE at a whopping 2,500 percent of the daily value. Folic acid, 400 mcg: A type of B vitamin which helps the body produce cells and ward off free radicals. Good bonus at 100 percent of the daily value. Vitamin B12 (as methylcobalamin), 100 mcg: You cannot go wrong with 1,667 percent of the daily value for Vitamin B12, folks – it helps increase energy levels, boost mood, regulate digestion, keep free radicals at bay, and improve heart health. Awesome. Biotin, 100 mcg: Also known as Vitamin B7, this ingredient is best known for its ability to boost hair, skin, and nail health. However, Vitamin B7 also helps regulate blood sugar levels and improve cardiovascular system health. Pantothenic acid (as d-calcium pantothenate) 75 mg: Also known as Vitamin B5, this component helps increase stamina, regulate blood pressure levels, and boost the immune system. EVLUTION NUTRITION VITAMODE has an abundant supply at an impressive 750 percent of the daily value. Iodine (as kelp), 150 mcg: A chemical element which helps support thyroid function. One hundred percent of the daily value should be more than enough. Zinc (as zinc citrate), 15 mg: This mineral helps boost weight loss, regulate blood sugar levels, and ward off free radicals. Selenium (as selenomethionine), 200 mcg: A mineral which helps boost immunity and ward off free radicals. Two hundred eight-six percent of the daily value is a great return on your investment. Copper (as copper gluconate), 2 mg: This mineral helps boost iron absorption. It also plays a key role in the formation of collagen for better joint health. Manganese (as manganese gluconate), 2 mg: A mineral which helps regulate blood sugar levels and boost digestion. Chromium (as chromium picolinate), 120 mcg: Humans don’t require large amounts of this mineral, which helps regulate blood sugar levels and metabolize carbs, fats, and protein. However, EVLUTION NUTRITION VITAMODE’s 120 micrograms per serving doesn’t go overboard. Molybdenum (as molybdenum A.A. chelate), 80 mcg: A trace mineral which helps break down amino acids. Alpha-lipoic acid, 25 mg: An antioxidant which helps convert glucose (blood sugar) into fuel and keep free radicals at bay. PABA (para-aminobenzoic acid), 10 mg: An organic compound which helps synthesize folic acid. Choline (as choline bitartrate), 10 mg: A macronutrient which helps boost liver and brain function. It also helps improve muscular movement and increase energy levels. Inositol, 10 mg: A vitamin-like substance which helps balance chemicals in the body. Silica, 5 mg: An essential mineral which helps boost hair, skin, and nail health. Boron, 2 mg: A trace mineral which helps improve focus and strengthen bones. Lycopene, 500 mcg: An antioxidant known of its ability to ward off free radicals. It also helps boost brain, eye, and heart health. Lutein, 500 mcg: An antioxidant which helps improve eye and skin health. It also helps ward off free radicals. Vanadium, 100 mcg: A trace mineral which helps regulate blood sugar and blood cholesterol levels, boost heart health, and keep free radicals at bay. Zeaxanthin, 28 mcg: A carotenoid which helps improve eye health. Bioperine, 5 mg: Also known as black fruit pepper extract, this ingredient helps improve nutrient uptake. Green tea powder (leaf): Some fitness experts believe green tea is the healthiest beverage because of its versatility: it helps boost brain health, torch fat, ward off free radicals, regulate blood sugar levels, boost heart health, and increase longevity. Hesperidin complex (fruit): An antioxidant present in citrus fruits. Fitness experts also believe it helps boost heart health and improve cognitive function. Deodorized garlic powder (bulb): An ingredient known for its powerful cardiovascular-boosting benefits. Grape seed extract (standardized to 95 percent polyphenol): Grapes are a rich source of polyphenols – phytochemicals which help keep free radicals at bay, ward off inflammation, regulate blood pressure levels, and improve heart health. Fruit blend: Comprised of orange, pineapple, apple, grape, blueberry, cranberry, papaya, elderberry, bilberry, black currant, and kiwi for potent health benefits. Vegetable blend: Made up of wild yam, carrot, spinach, cauliflower, kale, Brussels sprouts, and broccoli to help increase antioxidant levels and improve immunity. Papain: A papaya extract and digestive enzyme which helps improve nutrient absorption. Bromelain: A by-product of pineapple which helps boost protein digestion. It also helps reduce joint discomfort and keep free radicals at bay. Alpha amylase: A digestive enzyme which helps break down carbohydrates into simple sugars for increased energy levels. Lipase: A digestive enzyme which helps break down fats. Many multivitamins claim they’ve covered the bases, but this one takes it to a different level. Remember, the manufacturer intended EVLUTION NUTRITION VITAMODE to support intense training. After sizing this product up, we believe it has achieved that goal. EVLUTION NUTRITION VITAMODE is guaranteed to supply your body with tons of antioxidants, replenish water-soluble vitamins lost during exercise, and boost long-term health. We like the comprehensiveness. We love the mega doses of Vitamins C, D, B6, and B12. We also like the inclusion of phytonutrients and digestive enzymes as an insurance policy. Long story short, folks: you get heaps of benefits when you take this multivitamin. We’ve broken everything down for you. We’ve laid down the facts. You know EVLUTION NUTRITION VITAMODE is legit. Plus, many customers (around nine out of 10) swear by it. This is a recording. This is a great product. However, it is not perfect. We already mentioned the manufacturer did not indicate any “all-natural” or “ISO-certified” stamp of approval on the label. It could be a potential red flag – a possible sign some of the ingredients are synthetic. You don’t want that for your body. EVLUTION NUTRITION VITAMODE also has two proprietary blends (the Phyto Nutrient Complex and Enzyme Blend). Some fitness experts also believe magnesium stearate and titanium dioxide are dirty ingredients. However, we believe they won’t compromise your health unless you take them in large doses. We agree with all of these claims. 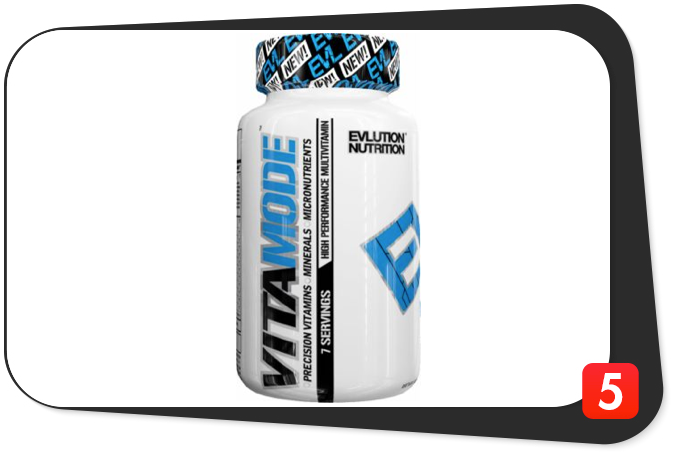 EVLUTION NUTRITION VITAMODE is a great addition to your supplement stack. EVLUTION NUTRITION VITAMODE is intended for healthy and active individuals who are at least 18 years of age who want to address nutrition gaps, increase vitamin and mineral intake, boost their antioxidant levels, lower stress, improve metabolism, and boost their long-term health. Upon closer inspection, we deem EVLUTION NUTRITION VITAMODE has no glaring side effects. However, if any of the ingredients make you feel doubtful, please consult a physician before purchasing. Comprehensive formula. Covers all the bases. Great supplement for hard-training individuals. Manufacturer intended the product for this purpose. Rich in Vitamins B6, B12, C, and D. Awesome. Added phytonutrients and digestive enzymes. Help boost the potency of the product. Excellent reputation. Many customers swear by it. No All-Natural label. Potential red flag for synthetic ingredients. Proprietary blends. Manufacturer doesn’t divulge individual ingredient amounts for the Phyto Nutrient Complex and Enzyme Blend. Despite its flaws, its clear to us EVLUTION NUTRITION VITAMODE is a tremendous asset for any hard-training individual. We are confident it will help fill those nutrition gaps, improve overall performance, and boost your long-term health. Many people have spoken. Take their word for it, folks. We recommend you buy EVLUTION NUTRITION VITAMODE and reap its many benefits for life.